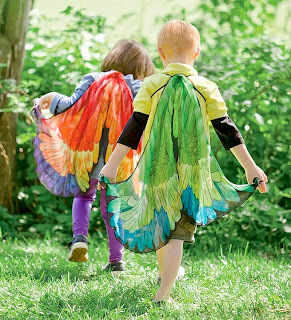 Hanna Andersson, some of the most beautifully made, great for hand-me down clothes are on sale! 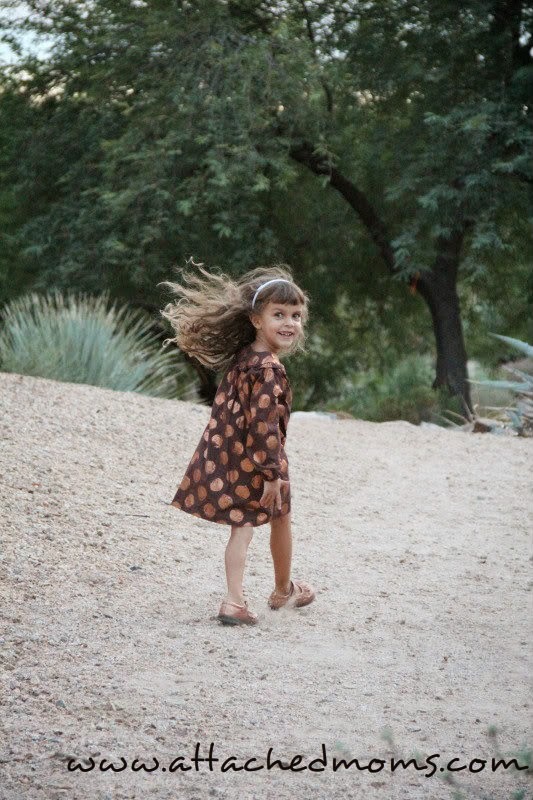 Don't miss out on this sale on Hanna Twirl and Glitter dresses this Christmas season! This post contains affiliate links. Plus Women's clothing is on sale too! Super cute, super comfy! Yep, we're talking Hanna Andersson! Disclosure: Affiliate links help keep this site going. It is an old collection but I LOVE Hanna Andersson! 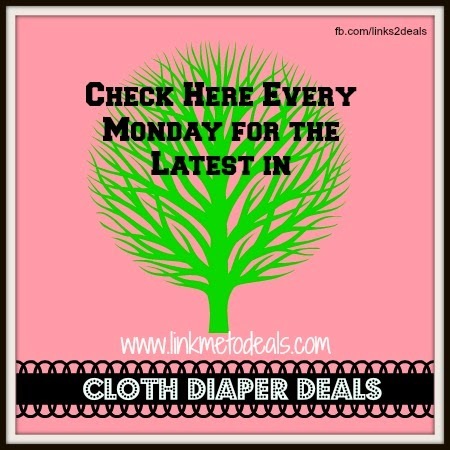 Super comfortable designs - GREAT for cloth diapered babies. Durable - These are great for hand me downs too! I hardly ever had to deal with rips or tears - never actually and I purchased some second hand! Ease of sizing - order based on "centimeters' rather than average age. 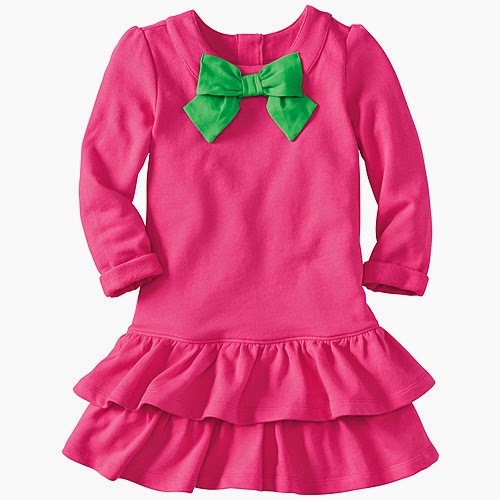 A child who is 88 cm fits a 90, but dresses are great because you can then just order a 100 and they'll fit for a long time. Family Outfits - Love their outfits. You can see our 2011 family outfit! While you're checking out their clothing deals - did you know that Hanna Andersson now has Hanna Home? The same soft and durable fabric... now for your home! LOVE! Eco-friendly toys are a great way to help your child play, while not exposing them to harsh and potentially dangerous chemicals. Plan Toys are made from renewable rubberwood and use femeldahyde -free glue and plant-based colors! These are seriously our favorites! From their toy foods and kitchen sets to their developmental learning toys and mini-cities - there is something for any of the children on your shopping list! Instead of focusing on the latest gadget that makes noise and distracts, rather than interacts, consider plan toys! 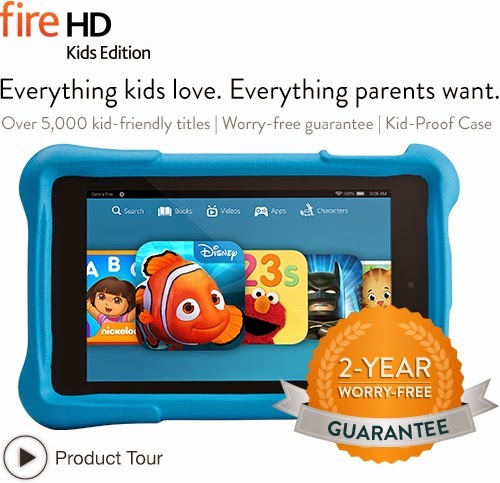 Find a great sale on Plan Toys at Amazon. Here's a selection of their sale toys, which are through Nov 21. Buy now and avoid lines on Black Friday! #affiliate. Great Eco-Friendly Toys on Sale now! Or, save $10 (31%) on these Castle Blocks by Plan Toys! Save more than $90 on the Chalet Doll house - it includes furniture! Plan for an eco-friendly toy room with a selection of wooden toys this Christmas! 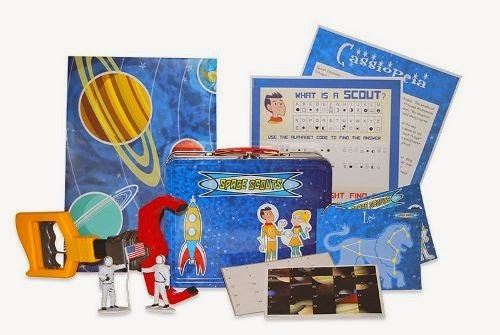 Space Scouts Box - Save 20% on this fun for kids! Kids, especially kiddos like my son, LOVE learning about things that go. And when it comes to things that go in space, kids just LOVE it! 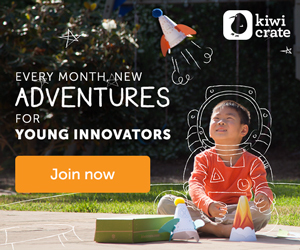 Space Scouts monthly subscription club for kids is a delightful learning adventure aimed at discovering the wonders of the universe! Each month your child will explore a new place in space -- stepping into the worlds of space exploration, space science, and astronomy. Join Roxy and Jett as they scout about the galaxy engaging your child in fun learning activities, hands-on discovery, and exciting challenges. Packages arrive each month filled with fun additions to your collection -- magnets, stickers, toys, and more! Space Scouts is a stellar vehicle for launching your child's interest in science & technology! This is not your typical grab-bag subscription box. Space Scouts is a fun, educational experience where each month builds upon the previous. It's a great way to learn! Price is affordable at $11.95 per month + $3.00 shipping. Plus you can get discounts for multi-month purchase. Space Scouts is designed for kids age 6+. Visit Space Scouts website to learn more! 20% discount - Use promo code USFAMILY20 at checkout to receive 20% discount on initial purchase of any Space Scouts subscription plan. We will be trying this out and let you know how this super affordable subscription box for kids goes! I know that going Gluten free has its reasons. An allergy or an intolerance, avoiding overly processed foods... For those who are gluten free, or have a gluten free family member, having recipe and food source options is imperative. 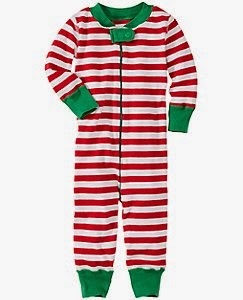 Yes, that's an affiliate link, but I only recommend items I see as worthy to my readers. Please check out this magazine, which is specifically for those suffering from food allergies like gluten, diary, and more. The deal here saves you over $50 off the yearly news stand price! Win! Win! Looking to download something to read on your Kindle or just through an easy-to-use kindle reader Reading Apps (on any smart phone or computer)? Here's a round up of Free Kindle Books! Are you seeking a lamp that is stylish and dimmable? Looking for an awesome lamp that is perfect for reading or doing just about anything in your office? Make having proper light stylish with the TaoTronics Dimmable LED Desk Lamp. This cute lamp has an adjust neck to and easy slide on switch that can easily make the lamp as dim or bright as you like. Want to know more about this lamp? Read Budget Earth's TaoTronics Dimmable LED Desk Lamp review here! Would you love to win this cute lamp for yourself? Budget Earth and some of their favorite bloggers are excited to be working with TaoTronics on this fantastic giveaway! One very lucky reader will win their own TaoTronics Elune Dimmable Eye-Care LED Desk Lamp in pink or black. To learn more, make sure to read all the rules below and then enter through the Rafflecopter! One lucky reader will win a TaoTronics Dimmable LED Desk Lamp in black or pink. Sweepstakes ends October 28th at 11:59pm ET. Its Thursday! 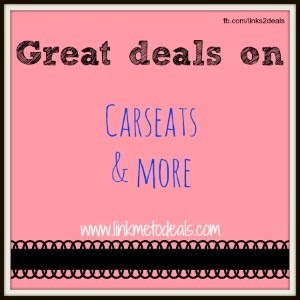 If you're looking for deals on carseats, you've come to the right place! Disclosure: Below you may find affiliate links. Amazon has Graco Nautilus 3 in 1 for 27% off. Choose GARNET and save 32%. This is a forward facing only seat that goes up to 100 lbs for $129! Use the rebate on Amazon to get this seat for $104! Britax Roundabout G4 Convertible Car Seat, has been discontinued by manufacturer, which means you may get 6-12 months less in "time" before expiration, but it does save you money. 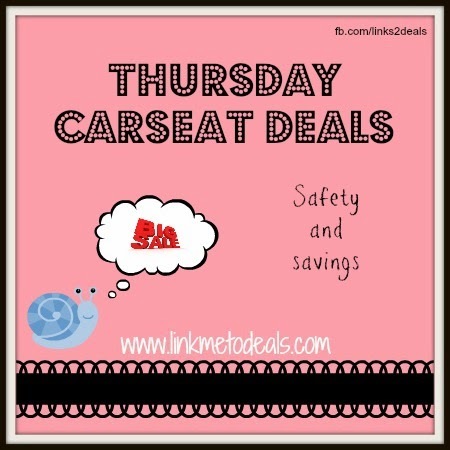 Choose the RECARO ProRIDE Convertible Car Seat in Misty and get the seat for jut under $200!